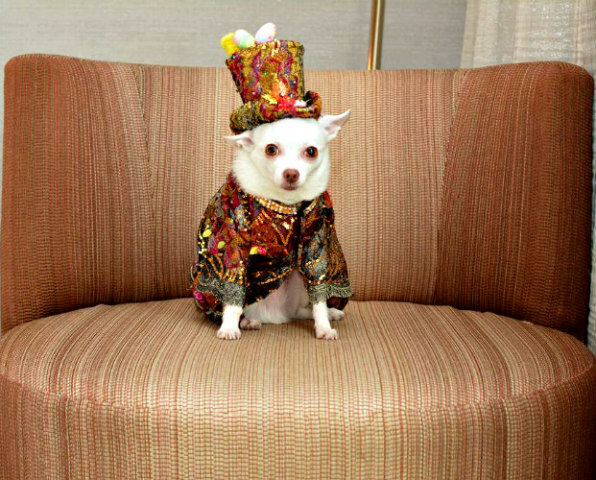 Dressing pets in designer duds appears to be all the craze. No longer will a functional dog sweater do for a lot of pet owners with a passion for fashion. 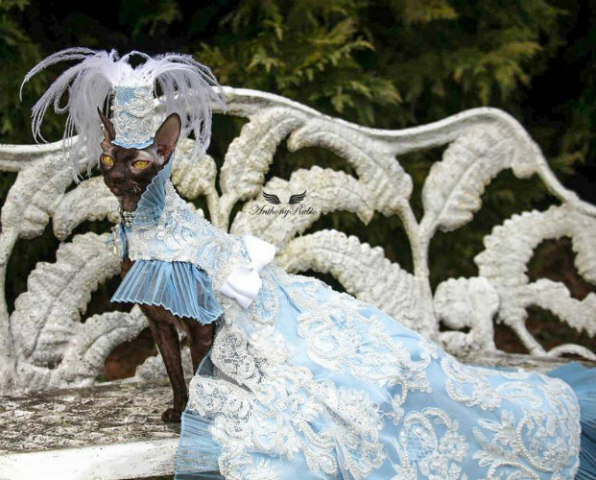 While there have been a number of over-the-top pet owners that have dressed their dogs and cats to the nines for decades, now there are honest to goodness pet fashion designers out there that want to see pets “Puttin’ on the Ritz” — or in this case glitz. That’s because the number of sequins and Swarovski crystals along with the yards of satin and lace that go into some of the designer pet fashions out there right now is mindboggling. There are a number of pet fashion designers currently creating an array of pet wear and accessories — from clothes, to hats, to capes, toys and travel items such as carrying totes and reversible blankets — in this once niche market like Susan Lanci, Oscar Newman, Thora Bjork Ottesen and Jamie Glasson Pergament of Ruff Ruff Couture whose creations fall along the line of classic children’s wear. Newman, on the other hand, leans more toward high-end fashion pieces using materials like beads and includes touches like hand-stitched smocking. Lanci, known for her elaborately embellished collars, harnesses and leads, uses ultra suede, real Swarovski crystals and other assorted bling. As impressive as the other designers are at their craft, their creations pale in comparison to Anthony Rubio of Anthony Rubio Designs. Rubio does not appear to be familiar with the words subtle or understated. 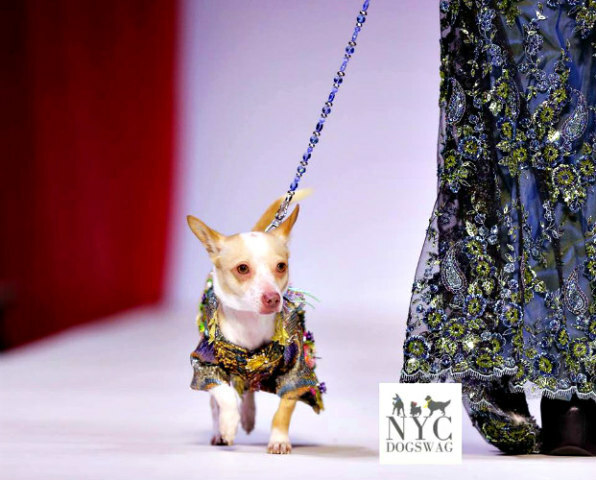 The pet fashion designer to the stars is unabashedly all about glitz and glam, as he amply demonstrates in his couture wear. His dog dresses look like the fantasy creations in the pages of Vogue they’re so elaborate. In fact, a model would stumble down the runway if she tried to wear one during Paris Fashion Week. This is a pet designer that has “seasonal collections” that include tapestry coats with hats that look like Russian lambs wool straight off the set of Downton Abbey. As a regular fixture on the fashion circuit, Rubio is also the recipient of a variety of fashion awards like the Pet Designer of the Year Award bestowed at the New York Pet Fashion Show (yes, there is such a thing), and his pet fashions have been included in Dog-Vogue. Using his Chihuahuas as his muses, he creates sumptuous ball gowns that, while absolutely amazing, are wholly impractical for dogs to wear beyond a quick photo shoot. On the whimsical side — as if the rest of it weren’t whimsy enough — he also has a fun collection of costumes for pets such as Batman and Superman. Anthony Rubio is no stranger to celebrity, either. He’s appeared on Ice & Coco Talk Show on Fox (who knew, right?) for an interview, his works have appeared in Paul Nathan’s book Couture Dogs of New York, and he hosts Dog Park Tales TV show, a half hour documentary-style series celebrating the “Tales” and “Tails” of the dog park, the dogs who visit them, and their owners (I know, how did you miss this?). If you’re looking for about an hour’s worth of entertainment, check out his equally elaborate website where the word flamboyant doesn’t even begin to cover it.